It’s time for Top 5 Wednesdays, a weekly meme created by gingerreadslainey and hosted by Sam @ThoughtsOnTomes. Today is all about self praise by spotlighting our own favourite posts. This is a little difficult for me, because 1.) I am a perfectionist and 2.) I have a terrible time choosing anything, so when I post something, I know it’s not perfect and I always wonder if I could have put more effort in it. At the same time, I have less and less blogging possibilities due to my busy schedule and am quite happy with what I do manage to put out there and it’s a lot too. I am not fishing for compliments here (although they are always welcome), I am just saying that is why I took such an incredibly long time to write this post … and intro too, I guess. This is my one and only discussion post, at least so far. I think discussion posts are some of the most engaging and well thought through posts out there, but that’s just it – they need a lot of time and that’s not been a thing I had a lot of lately. But I will write one again at some point. I did something unconventional and my work completely paid off for this one. Your reactions were unbelievably kind and that was the most amazing feeling out there. This is legit one of my favourite series of all time! Getting to write a whole post about it and actually sort of making sense while doing so was extremely satisfying. 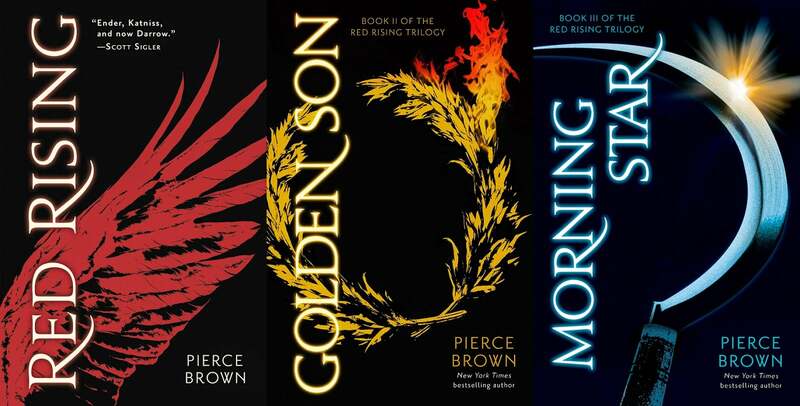 And what is a list of any kind without me mentioning Pierce Brown (sneaky way or not)? I’ve mentioned it before that WWII is a difficult topic for me and I especially addressed it in this post. The review therefore turned into something way more personal and I think that was why it turned into such an engaging one. And it’s definitely a plus point that I absolutely loved the book! I just like reliving that experience. It’s not often that I get to just glory in all the geekiness WITH OTHERS. I guess I can do that quite regularly here, but there is something special about doing that in person. What are your favourite topics? Do you like my picks or did you expect something else? I think your discussion post is one of the few first I’ve ever read and I remember being really inspired by it ! And that TTT about what is love is one of my favorite posts you ever written, it was a really clever idea. Awe, THANK YOU SO MUCH! ❤ You always say the right thing! Thank you! It was way more difficult than I thought, simply because I didn’t even realise how much I’ve actually posted. Thank youuuu! 🙂 And yes, hahaha, I still have to laugh about our Pierce-convo from the other day! Good to know! Did you see his latest Insta pics? He still looks like a dude from some wildlife commerical. Oh, me neither! I LOVE IT! Thank you so much, Cait! RED RISING IS THE BEST OF THE BEST! I remember your wolf by wolf review- I put it on my tbr cos of that! And as you know I read red rising cos of all your praise- and (as you also know) I’m so glad I did! I remember your discussion piece too- that was excellent!! and I’d really like to see more discussion pieces in the future btw! Thank you ❤ ❤ ❤ It means the world to me!